Sometimes it pays off to be a bit of a stick in the mud. Pittsburgh found that out in 2008. As real estate markets across the country tanked because of the Great Recession, Pittsburgh’s thrived — thanks in part to a steady-as-she-goes approach to investment. While many cities experienced rampant speculation and over building in the years leading up to the recession, the Steel City played it more conservatively, as had been its tradition. That meant waiting to secure a tenant before starting construction rather than building first in hopes that one would come. The long-practiced approach paid dividends, local brokers said. While vacancies soared and rents plummeted in other markets, Pittsburgh saw just the opposite. From 2006 to 2013, office vacancy rates in the region dropped nearly 10 percent, according to the Jones Lang LaSalle real estate firm. Since 2006, average asking rents have climbed over 20 percent, the company reported. “It was a good time for the Downtown, particularly compared to our peer markets. We way outperformed them,” said Dan Adamski, JLL managing director. 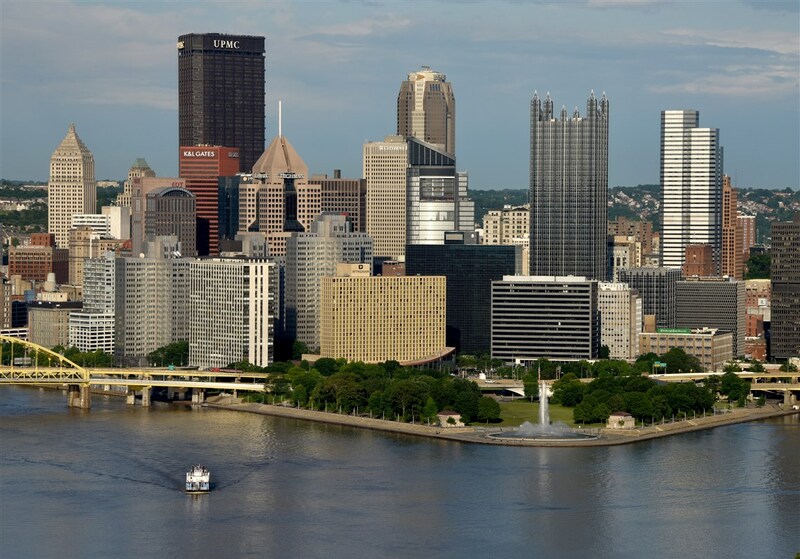 So good, in fact, that Moody’s named Pittsburgh the top real estate market in the country for several quarters — a distinction not accorded the region before or since the recession, Mr. Adamski noted. He believes Pittsburgh’s steadiness in the face of the recession — coupled with the G-20 summit that brought world leaders here in 2009 — sowed the seeds for the kind of out-of-town investment from big-time real estate companies and real estate investment trusts that Downtown has seen over the past decade. Those investors include Raleigh, N.C.-based Highwoods Properties, owner of the PPG Place complex and EQT Plaza; San Francisco-based Shorenstein Properties, owner of One Oxford Centre; Boston’s The Davis Companies, owner of the Union Trust Building; and Chicago-based M&J Wilkow, whose holdings include the former Westinghouse building at 11 Stanwix St., 20 Stanwix across the street, and the former Art Institute of Pittsburgh building. Those companies and others have spent hundreds of millions of dollars acquiring and renovating the properties, adding state-of-the-art amenities while pushing up rents Downtown. “That shows that we’ve gained national prominence and attention. A lot occurred since the G-20 summit. 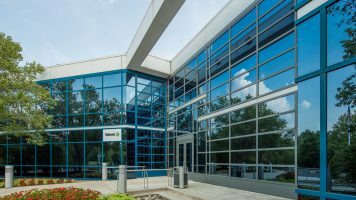 Pittsburgh is more on the radar for a lot of these REITs and national companies,” Mr. Adamski said. Also contrary to what occurred in many other cities, the start of the recession saw a flurry of construction Downtown. In 2008, Three PNC Plaza — home to the Reed Smith law firm, the Fairmont Pittsburgh hotel, and luxury condos — was under construction in what had been a blighted section of Fifth Avenue. Across the street, Washington County-based Millcraft Investments had started work on a project to convert the former G.C. Murphy store and some adjacent properties into apartments and retail and fitness space. Millcraft also put building condos atop the failed Lazarus-Macy’s department store as part of a redevelopment that included office and retail space. The moves were part of a wave of building in the Golden Triangle that has seen many older office buildings being converted into apartments or condos, part of a national trend toward urban living. PNC later was involved in the construction of its new headquarters on Wood Street and in converting a former Mellon Bank on Smithfield Street into a call center after the site failed as a Lord & Taylor department store. “It was really an exciting time in Pittsburgh. That’s when the change started to occur,” Mr. McLaughlin said. Not everything turned out to be recession-proof. A $48 million hotel/condominum project at SouthSide Works failed when the developer, DOC-Economou, was unable to secure financing. Developer Ralph Falbo also switched from condos to apartments in a $14 million South Side development near the UPMC Sports Performance Complex because of difficulties in obtaining financing for for-sale units. New development — as opposed to that already in the works before the recession hit — also slowed considerably because of tight credit markets and cutbacks or bankruptcies by national retailers. But overall, Pittsburgh — after being brought to its knees by the collapse of the steel industry in the 1970s and 1980s — and its real estate market were able to weather the Great Recession, thanks in part by a more diversified economy led by education and medical sectors. It didn’t hurt that the region was bolstered by the emerging Marcellus Shale industry, which helped to further insulate the market from some of the negative effects of the recession that plagued other cities, Mr. Adamski said. Pittsburgh has since become a burgeoning tech and robotics center, with companies such as Google, Apple, Uber and Argo AI with offices here. The Steel City also is among 20 finalists being considered for Amazon’s second headquarters, an economic development prize that could bring as many as 50,000 jobs and $5 billion in investment over 17 years. Some see it as a sign of just how far the city has come in the past decade. “We’re in the running for Amazon. Who ever would have thought that? In 2008, if you had told me Amazon was looking at Pittsburgh as a potential headquarters, I would have told you you’re crazy,” Mr. McLaughlin said.